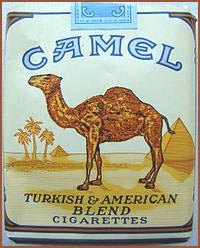 called Camel . . . Responding to a friend on facebook . . . These two versions of 'gamla' are so nearly identical in the Aramaic characters that the translation for Matthew 19:24 is oddly: " ... it is easier for a camel to pass through the eye of a needle than for one who is rich to enter the kingdom of God."
. WKD : Camel, Dromedary, Kamel, Dromedar . Don't forget the River Camel in Cornwall, the Land of King Arthur.